Mid-February is the time of year when the world’s hourglass flips over and birds slowly start to reverse direction—toward their spring (or, in the Southern Hemisphere, autumn) haunts again. The Great Backyard Bird Count is designed to capture that moment of stillness and give scientists a picture of bird populations at one extreme of the year. Over its 3-decade history it has expanded from a 2-country count (U.S. and Canada) to a global escapade that tallies about 60% of the world’s bird species. It’s one long weekend that’s perfectly situated as a good excuse to get out your binoculars and not put them back down again for 4 whole days. Here’s how to make the most of it—for you and for the birds. Go to your favorite spot—or any spot. It doesn’t have to be your backyard, it can be anywhere. Literally anywhere on Earth. We’ve had people in Antarctica count penguins. We’ve also had lots of counts from metro centers and kitchen windows. All birds everywhere is what we’re aiming for—and “your” birds are as important as anyone else’s. Greet’em with a feeder or two. You don’t have to watch birds at a feeder—but if you’re counting at home it’s a great way to up the activity. We’ve got lots of suggestions and advice about what kinds of feeders to use, the advantages of birdbaths, and what kinds of food each bird species likes best. Grab your own gaggle. Bird watching is fun in a group, and extra eyes mean you’ll often see more. Grab a friend, child, grandchild, parent, spouse, or cousin—you can even print them a participation certificate afterwards as a badge of pride. Or check your local birding club to see if there’s an outing you can join. Get ready to enter your sightings. You’ll need a free eBird account, or if you have a Project FeederWatch or NestWatch account, you can use that. This allows all your data to go smoothly into the central eBird database, where they’re available for scientists to analyze. If you see something unusual, your checklist might get flagged for review. Please don’t take offense! It’s just a standard procedure to make sure erroneous entries don’t become data. A volunteer reviewer will contact you and ask for a bit more information—here’s how the review process works. Give your camera a chance to win. Every year we get thousands of photos in our GBBC photo contest. Awards and prizes are given in six categories—Overall, Behavior, Habitat, Group, People, and Composition. So keep your camera handy and show us what the birds look like around your neck of the woods! Psst…. you can have fun counting birds on any day of the year. So if you miss the Great Backyard Bird Count—or just don’t want to stop—you can use these same tips to count and enter birds into eBird any and every day of the year. More questions? See the official GBBC FAQ page, and the Participant Toolkit for more explanations and examples. 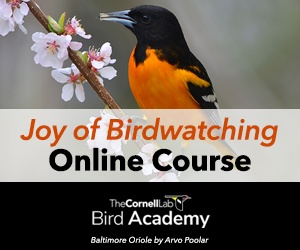 The Great Backyard Bird Count—Get Your Friends Involved!